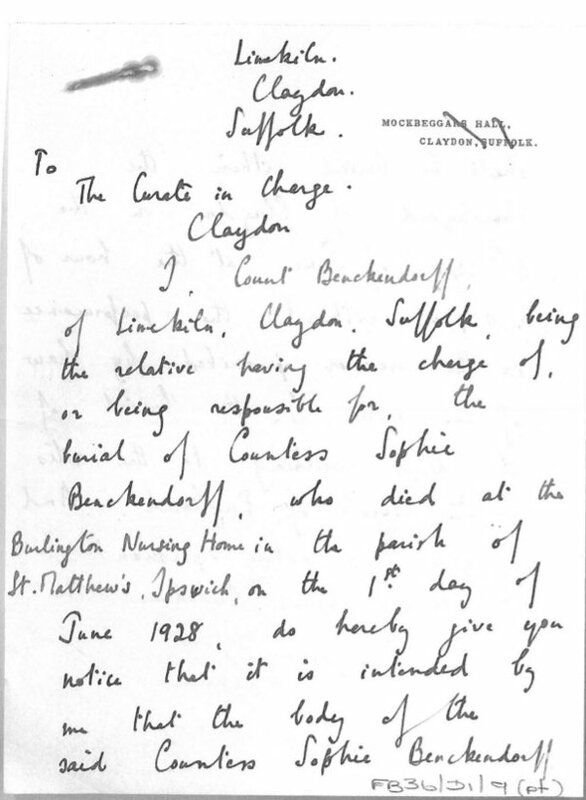 This letter written by Countess Sophie Benckendorff’s son Count Constantine Benckendorff gives notice that the Countess is to be buried pursuant to the Burial Laws Amendment Act 1880. 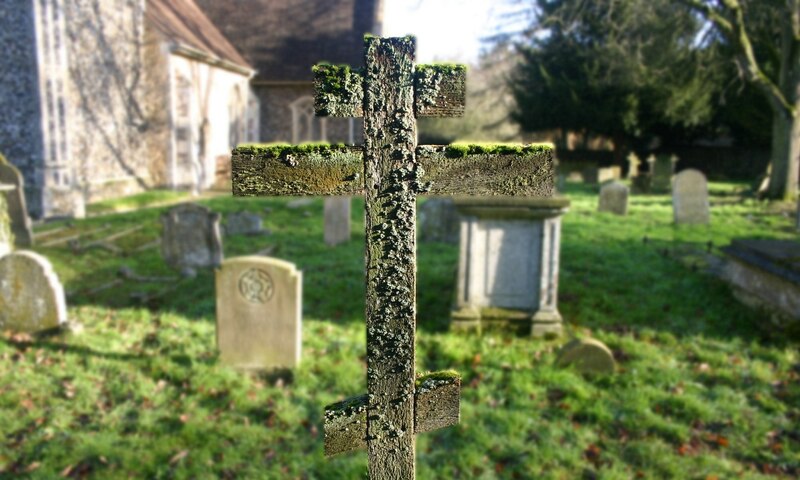 In the burial records for the parish it is noted that this was a burial in accordance with the rites of the Eastern Church. 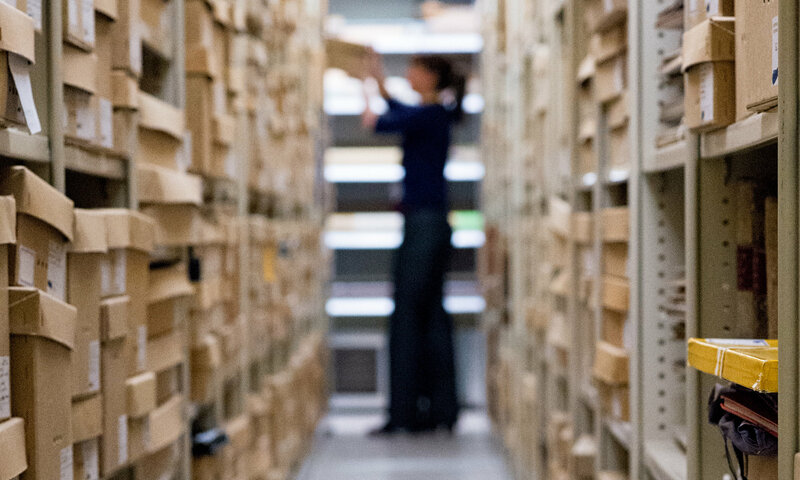 Given that 2017 marked the 100th anniversary of the Russian Revolution, an event that was instrumental in the Benckendorff family settling in the United Kingdom, we thought that this would be an apposite document to highlight on this site. In 1879 Countess Sophie married Count Alexander Constantinovich Benckendorff who between 1903 and 1917 was the last Imperial Russian ambassador to the Court of St James. She was the granddaughter of Lev Naryshkin, a hero of the Napoleonic wars. The Shuvalov family can be traced back to C16th and was elevated to the rank of counts in 1746. Countess Sophie illustrated a children’s book: Forget-me-Not and Lily of the Valley by Maurice Baring This book was a favourite at Althorp for four generations of the Spencer family. The Countess was also a muse for some of Baring’s later works. 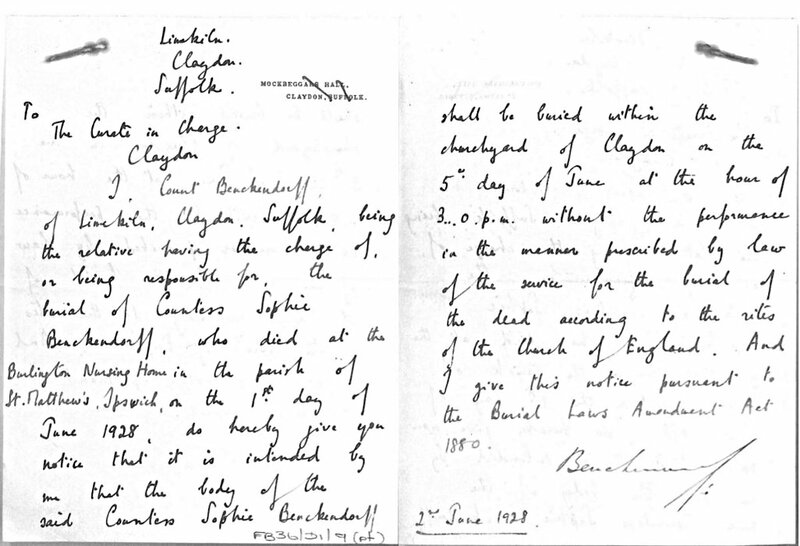 In 1915 Countess Sophie set up a fund to oversee the conditions of Russian Prisoners of War. She had heard through a British army doctor of the appalling way in which they were treated. Countess Sophie had three children: her son Count Constantine, who wrote the letter is buried next to his mother with a Russian style wooden cross; Nathalie, the Countess’s daughter is buried with her husband and son by the church. The Countess’s other son, Peter, died in action in 1915. The husband of the Countess, Count Alexander, was one of the first to die of the influenza epidemic that swept across Europe. He is buried at Westminster Cathedral 1. where he regularly worshipped. After her husband’s death the Countess lived at Lime Kiln in Claydon and here she laid out formal paved gardens near to the house and that area retains many of her plantings including Irish Yews, a cypress and even some roses. Those roses were the basis of the rosarium established there by the husband of The Countess’s granddaughter. He too is buried in the churchyard. 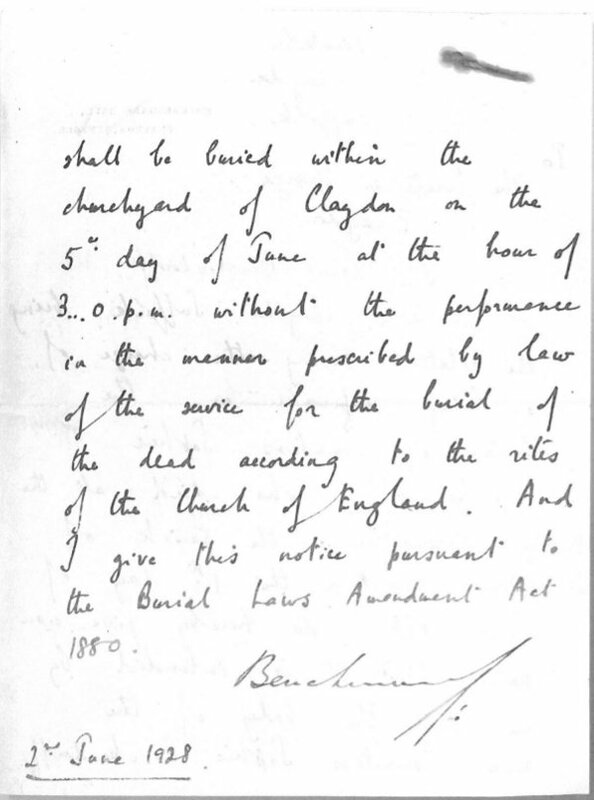 There is an interesting local connection concerning the Burial Laws Amendment Act 1880. 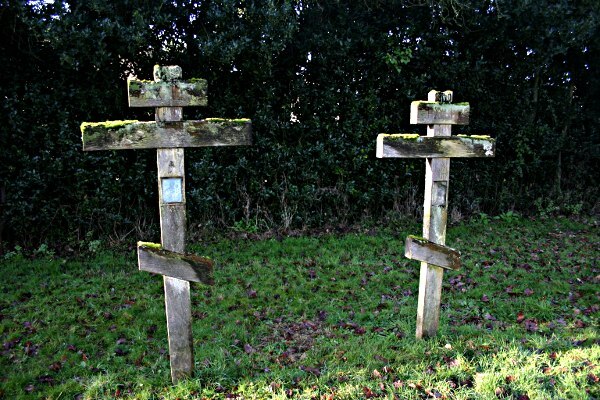 It came about, following the burial in the Akenham churchyard of unbaptized Joseph Ramsey a two year old boy who was son of an employee of the non-conformist Mr Gooding of Akenham Hall. 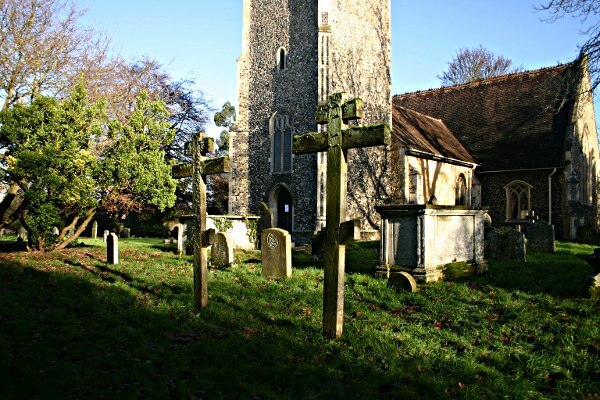 St Mary’s Akenham is just a mile from the Claydon church where the Countess is buried.